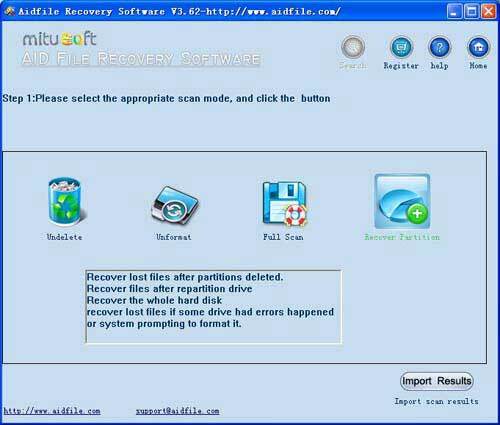 Recover deleted Partition, Recover files from deleted partition - Aidfile Recovery Software can help you to learn how to recover data from a deleted partition. Recover files from deleted partition Windows 7/10/XP/Vista, powerful data recovery tool help you recover data from deleted partition .Please download and free trial. 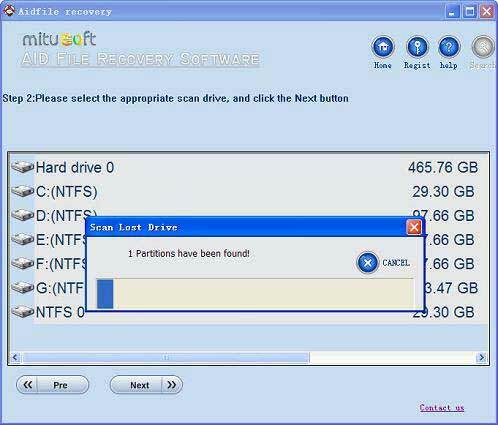 Use "Full Scan" mode to retrieve data from deleted partition if lost files can not be found with "recover partition"
Aidfile software can recover data partition deleted . It supports EXFAT / FAT32 / NTFS file systems. Download Aidfile and free trial,you will learn how to do recovery of partition data deleted . It can undelete or rescue any deleted partitions or logical drive . Recover files from deleted partition.